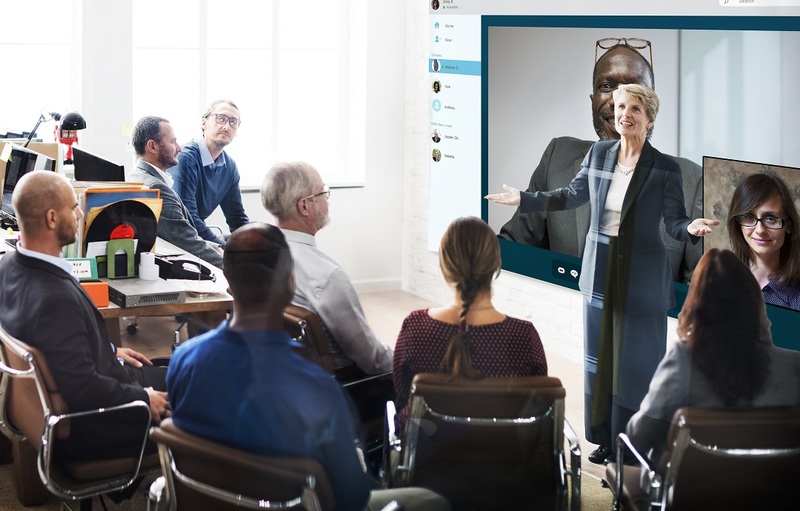 A videoconference is a visual and live audio connection between two or more people who are in separate locations, in order to communicate with each other. In its simplest way, a videoconference offers the transmission of static images and text between two locations. In the more complex version, it delivers HD moving images and high-quality sound between multiple locations. Large-scale consumers have access to services provided by Apple, Google, or Microsoft, which have made the videoconferencing option to be the omnipresent feature on devices with camera and microphone. In the business world, however, things are more complex. 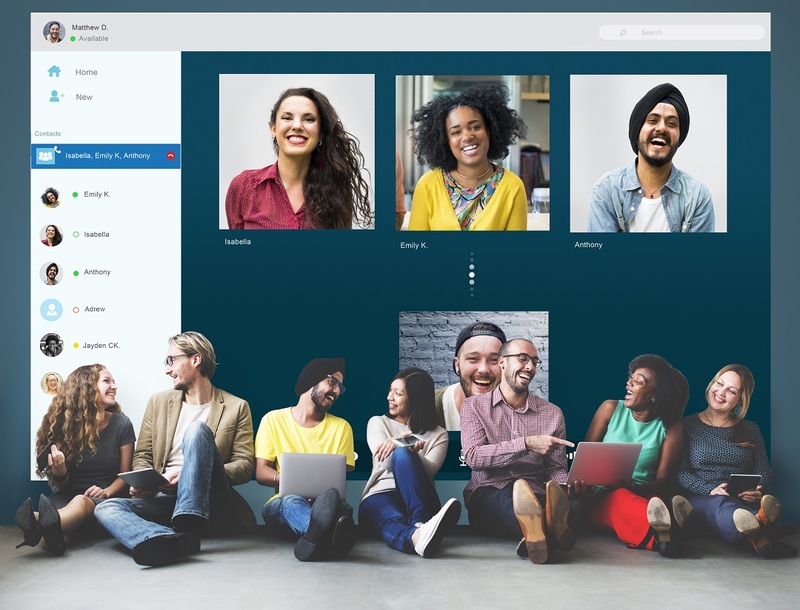 In business, videoconferences can be a component of the unified communication concept; they can use dedicated web services or virtual meeting rooms. Such solutions offer many benefits: low travel costs for training courses, process optimization for various projects, remote meetings with customers or partners, easy communication between team members (including multi-user), collaborative work (e.g. on a responsive device, interactive monitor, etc.). 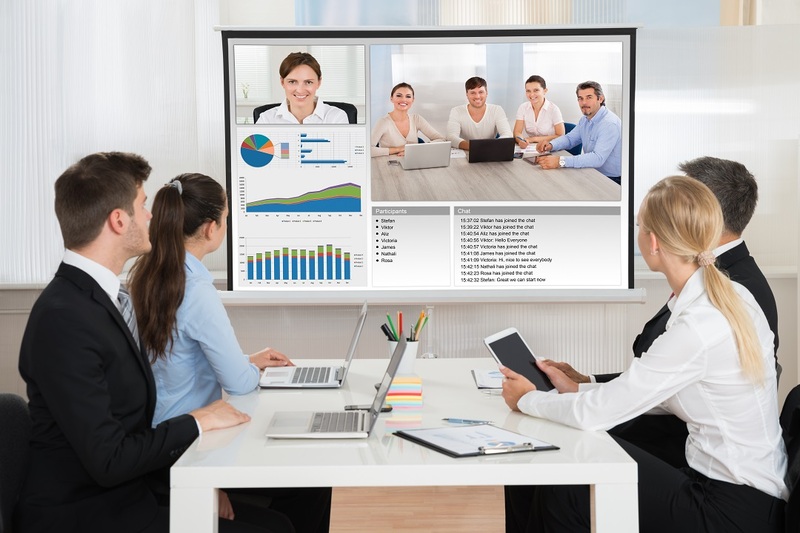 The videoconference solution has undeniable benefits for companies. A study from 1967 shows that the elements that contribute to the appreciation and trust in a person when they convey a message are the words (7%), the tone of voice (38%) and the body language (55%). Thus, gaining trust, the feeling of belonging to a community, the correct and complete understanding of a message, are definite advantages of such an experience. Netland Computers offers a wide range of solutions for videoconferences, using various hardware and software platforms from the top partners which we represent, such as Microsoft, Cisco, Polycom or Life-size. We take care of the whole process, from analyzing the needs and designing the system, until installation, configuration, maintenance and warranty. Do you need a videoconference system? Call us in order to analyse the details and to deliver a free demo at your company’s headquarters.